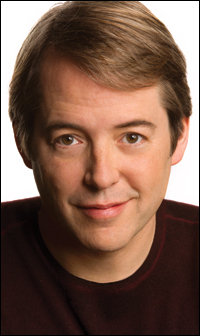 Although Matthew Broderick will forever be remembered as the hooky-playing charmer in the title role of Ferris Bueller's Day Off, his greatest acting accomplishments have been on-stage. The recipient of two Tony awards, Broderick has collaborated with Neil Simon on stage and on screen in the 1988 film Biloxi Blues. His first break in Hollywood came in 1983, when he played a teenage hacker in War Games. Broderick has since appeared in a variety of films, including 1997's off-beat romantic comedy Addicted to Love, as well as 1998's over-blown summer blockbuster, Godzilla. Broderick played an ironic role in 1999 -- as an up-tight civics teacher -- in the high school dark comedy, Election..